Search Engine Optimization considers how search algorithms work and what people search for. It is a process of using complex strategies, techniques and tactics with the goal to increase volume and quality of visitors to your website and to improve your rankings with search engines. It connects customers to businesses. Organic SEO is a project built directly on your website by optimizing the web pages on your site itself. It works by starting with a friendly website design incorporating SEO tactics such as focusing on keyword rich content creation, link building, competitive analysis, meta-tag optimization and keyword enhancement that allow web crawlers access to each page of your site. It is important to build your website so it is search engine friendly. TIP: Blogging is an easy inexpensive way to boost your Organic SEO ranking. Non-organic SEO typically has much faster results than organic SEO and allows you to start and stop a campaign. It works by using high value third party websites to drive inbound links and traffic to your website which increase your site’s relevancy. Search engines look upon inbound links favorably. Third party websites can include digital ads, programmatic media, social media or pay-per-click campaigns such as Google AdWords. Non-organic SEO works well for general branding, seasonal businesses, promotions, a grand opening or anything that requires a big push. Well-executed non-organic SEO strategies combined with robust organic SEO deliver positive results. 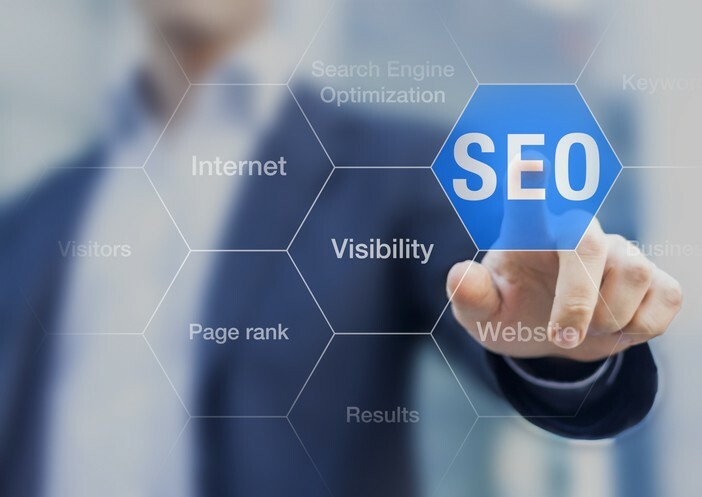 For SMB owners it is best to start with organic SEO. Organic SEO is permanent, and for it to work it must be maintained. Maintenance schedules vary but more time per month on upkeep provides better results. It takes time to set up the initial project and begin to gain results but requires less long-term investment than non-organic SEO alone. It also can yield better long-term results than non-organic SEO. Organic SEO combined with additional digital, social or non-organic SEO yields good ROI. Major search engines such as Google, Yahoo and Bing drive the majority of all web traffic. Although other types of media can generate traffic to your site, search engines provide the primary means of navigation. During a web search customers are actively shopping or researching a specific service. That makes the person searching a very good prospect for a business that is trying to sell that service. You want the prospect to find your business first, not your competitor’s, when they search.